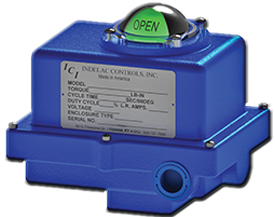 The Evolution of Actuator Design | Indelac Controls, Inc.
Electric actuators: using either one-phase or three-phase power (depending on the size of the application and the availability in site) to energized a set of gears, operating any type of valve. Pneumatic or hydraulic actuators: using either a rack & pinion or a scotch yoke device for moving a rotary valve. They are other types of valve and damper actuators that use a combination of existing motors and gears, but most applications are included into those two categories. These actuators have a relatively simple mechanism. Small to medium size devices are built with a rack and pinion mechanism and larger devices use a scotch yoke. There are so many rack and pinion actuators manufacturers in the world that these actuators are actually considered more like a commodity product rather than an engineered product. There are considerably less manufacturers of actuators using scotch yoke mechanism but the core mechanical design is close to identical, though some variations do exist. On smaller pneumatic actuators, some standardization of the controls and position feedback exists with international standards like NAMUR. But generally, most pneumatic actuators have added control components like solenoids, position transmitters… manufactured by third party manufacturers. The development of electric actuators followed a different path. At first, the electric actuator was just a motor with a set of gears and some mechanical torque limit switches inside an enclosure. The controls were separate. Position feedback switches (auxiliary switches) and motor controls were later incorporated into the electric actuator enclosure. This marked an important milestone in the electric actuator industry, turning the actuator into an integrated control package. Later on, bigger, explosion-proof enclosures rated NEMA 7 and 9 were used, allowing electric valve actuator to be installed in various hazardous locations such as oil fields, chemical plants or gas pipelines. See blog about NEMA RATINGS The development of high quality, long lasting sealing solutions like O-rings and gaskets in combination with the use of temperature and condensation control equipment such as heater, thermostat, breather and/or desiccant pack allowed electric actuator manufacturers to safely add more electronic inside the actuator enclosure. This improvement allowed the use of greater monitoring and control options to improve overall controllability and safety of processes and automated systems. The next step was the development of non-intrusive configurations using newer and better electronic controls with communication protocols such as HART or MODBUS, improving the overall commissioning capabilities of control packages. Nowadays, wireless actuators are simple to use, easy to implement, easy to commission. They provide communication as well as diagnostics, while eliminating expensive wiring and install costs. Wireless technology is all around us, permeating every aspect of modern communication. See blog about WIRELESS ACTUATOR for more info. Technological trend of the latest years are the smart objects. We use them every day and everywhere. Smart actuators are next! 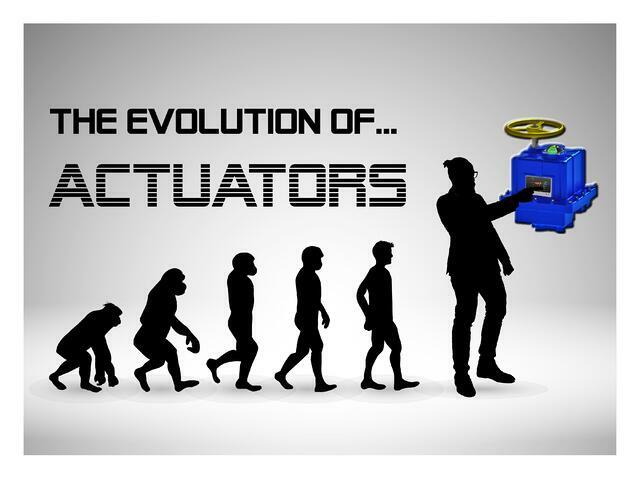 And as technology continues to evolve always faster and faster, actuator manufacturers will keep innovating as well.